Is T-Mobile US, Inc. (NASDAQ:TMUS) the right pick for your portfolio? Prominent investors are in a pessimistic mood. The number of bullish hedge fund positions went down by 5 in recent months. Our calculations also showed that TMUS is among the 30 most popular stocks among hedge funds, ranking 23rd. TMUS was in 75 hedge funds’ portfolios at the end of the fourth quarter of 2018. 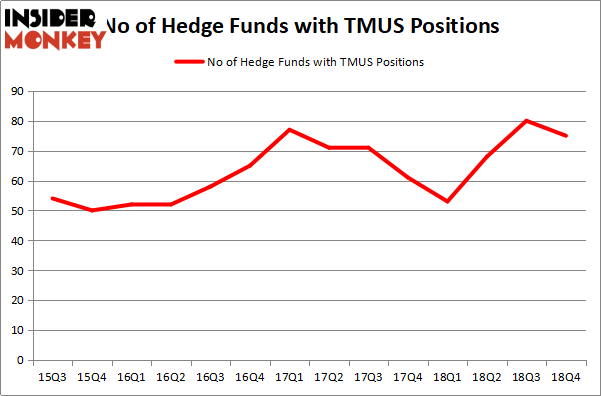 There were 80 hedge funds in our database with TMUS positions at the end of the previous quarter. We’re going to take a gander at the fresh hedge fund action regarding T-Mobile US, Inc. (NASDAQ:TMUS). 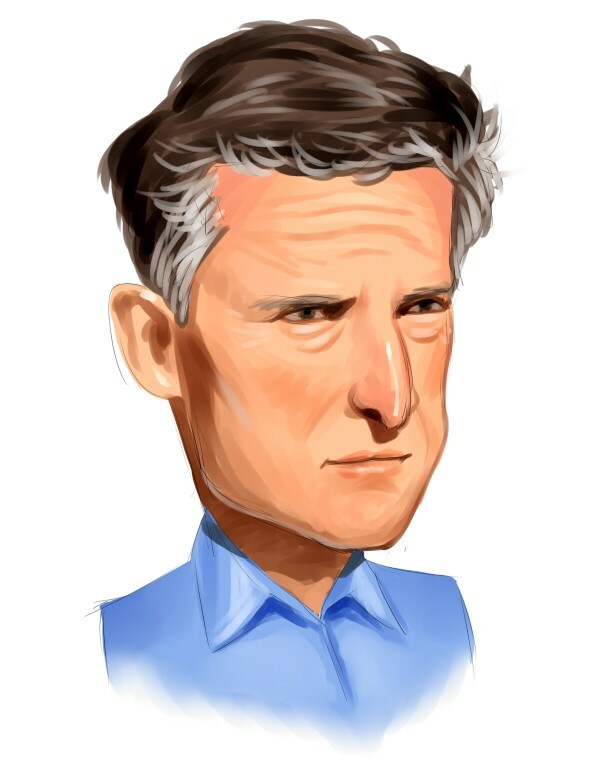 Heading into the first quarter of 2019, a total of 75 of the hedge funds tracked by Insider Monkey were bullish on this stock, a change of -6% from one quarter earlier. Below, you can check out the change in hedge fund sentiment towards TMUS over the last 14 quarters. With hedgies’ capital changing hands, there exists an “upper tier” of key hedge fund managers who were boosting their stakes meaningfully (or already accumulated large positions). Seeing as T-Mobile US, Inc. (NASDAQ:TMUS) has witnessed falling interest from the entirety of the hedge funds we track, we can see that there were a few hedge funds that slashed their positions entirely by the end of the third quarter. Interestingly, Eashwar Krishnan’s Tybourne Capital Management dumped the largest investment of the 700 funds watched by Insider Monkey, totaling an estimated $331.6 million in stock, and Anand Desai’s Darsana Capital Partners was right behind this move, as the fund dumped about $154.4 million worth. These bearish behaviors are important to note, as aggregate hedge fund interest was cut by 5 funds by the end of the third quarter. Let’s now review hedge fund activity in other stocks – not necessarily in the same industry as T-Mobile US, Inc. (NASDAQ:TMUS) but similarly valued. We will take a look at PNC Financial Services Group Inc. (NYSE:PNC), Enterprise Products Partners L.P. (NYSE:EPD), Shire PLC (NASDAQ:SHPG), and The Kraft Heinz Company (NASDAQ:KHC). This group of stocks’ market values resemble TMUS’s market value. As you can see these stocks had an average of 39.75 hedge funds with bullish positions and the average amount invested in these stocks was $5614 million. That figure was $3616 million in TMUS’s case. Shire PLC (NASDAQ:SHPG) is the most popular stock in this table. On the other hand Enterprise Products Partners L.P. (NYSE:EPD) is the least popular one with only 25 bullish hedge fund positions. Compared to these stocks T-Mobile US, Inc. (NASDAQ:TMUS) is more popular among hedge funds. Our calculations showed that top 15 most popular stocks among hedge funds returned 19.7% through March 15th and outperformed the S&P 500 ETF (SPY) by 6.6 percentage points. Hedge funds were also right about betting on TMUS as the stock returned 15.5% and outperformed the market as well.